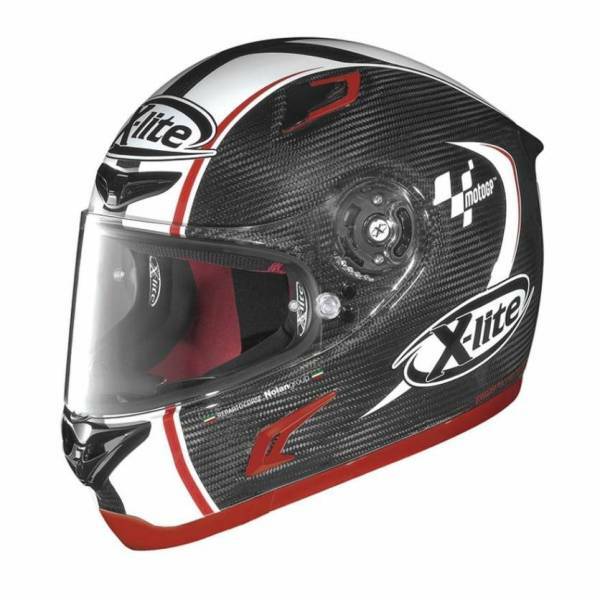 X-Lite’s top-spec X-802R Ultra Carbon MotoGP lid has all the characteristics of a racing helmet. It’s got a super-light carbon fibre shell, keeping weight down to 1,280g, and super-luxurious linings. The lid is exclusively available for sale on the MotoGP Store website, limited to 99 numbered helmets. On the rear of the shell will be a label with progressive numbers from 0 to 99. This limited edition is equipped with a flat clear visor and inside the box there is a dark green race visor and two tear-off kits. To complete the racing look it comes with a special edition helmet bag with X-Lite and MotoGP logos plus an additional racing bag with a visor pocket. This very exclusive lid is a must for MotoGP fans and comes in sizes XS to XXL.